Rivière-du-Loup is a small city of approximately 20,000 people located 120 miles to the east of Quebec City. It sits on the south shore of the St. Lawrence Seaway, bordered by the municipalities of Kamouraska, Témiscouata and Les Basques. Together, the four locations make up a commercial region known as the KRTB (or Kamouraska/Riviere du Loup/Temiscouata/ Basques area.) The municipalities share the Rivière-du-Loup Airport, which boasts the longest runway in the area. The civil aviation airport serves domestic and international corporate flights and charter services. The Rivière-du-Loup Airport required renovations to several integral areas, including its airfield lighting. 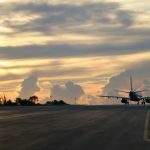 The runway, taxiway and approach lighting functioned inconsistently for many years; ongoing, year-round maintenance and repair kept the airport operating. 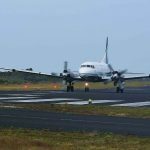 Finally, after nine years of life-prolonging work by the Rivière-du-Loup Public Work Services department, the existing AC powered airfield lighting system failed completely. Initial replacement estimates for similar lighting systems were cost prohibitive, starting at $500,000. Other challenges associated with lighting replacement included a new requirement for 24-hour operation and ease of winter maintenance. Airport consultants encouraged city officials to look beyond an identical AC powered replacement. 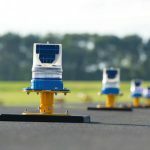 They suggested a medium intensity, cost-efficient solar LED airfield lighting system as a solution to their requirements. 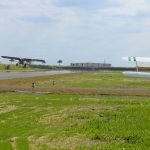 Accepted by Transport Canada, the airport consultant recommended a complete solar airfield solution from Avlite for the Rivière-du-Loup Airport. 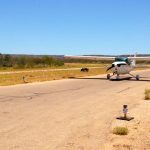 AV-425 RF Controlled Solar Aviation Lights were specified for the approach, threshold and runway lighting. 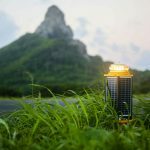 The four integrated solar panels of the AV-425 provides maximum solar collection, offering an ideal lighting solution for northern climates such as those throughout northern North America. The RF Control, when used in conjunction with Avlite’s PALC (Pilot Activated Lighting Control), supports remote 24/7 operation and light intensity adjustment while eliminating costly cabling and trenching. 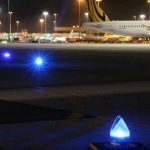 Taxiway lighting requirements were satisfied with Avlite’s AV-70 Solar Aviation Light. Its two, high-performance solar panels are mounted within the polycarbonate lens for maintenance-free operation and durability in a variety of environmental conditions, including harsh winter weather conditions. 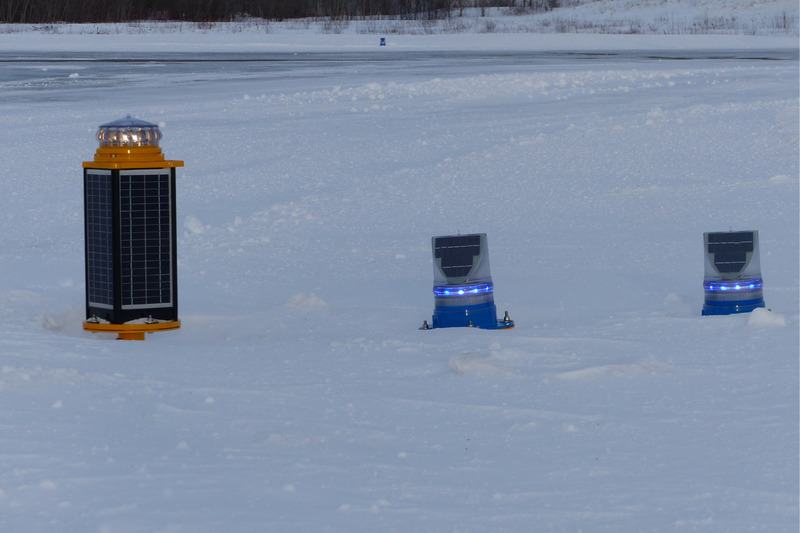 Rounding out the Avlite airfield lighting equipment supplied to Rivière-du-Loup Airfield was Avlite’s Frangible Stake Mounts for the AV-425 and AV-70 Solar LED Lights. The Frangible Stake Mounts are made from yellow, powder-coated aluminium, to provide a sturdy mounting platform for both lights. 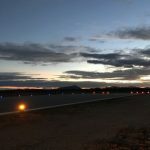 The entire airfield lighting system from Avlite took less than 10 days to install. The new airfield lighting from Avlite maximized the budget requirements for the City of Rivière-du-Loup. 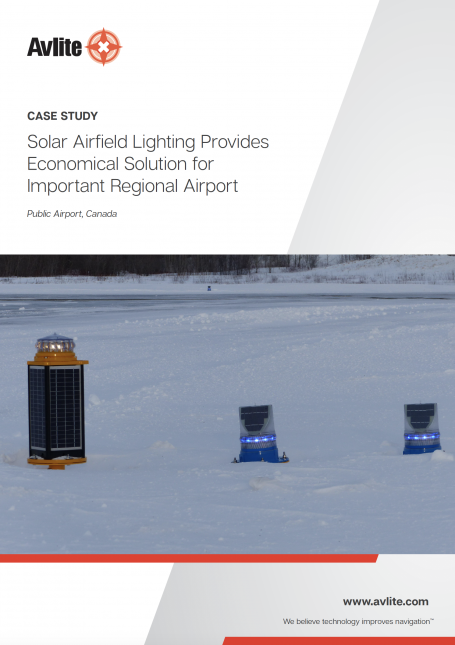 Other vital airport infrastructure requirements were funded as a result of the cost efficiencies of Avlite’s Solar Airfield Lighting products. 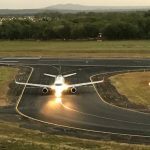 The airfield lighting has been fully operational for over three years.